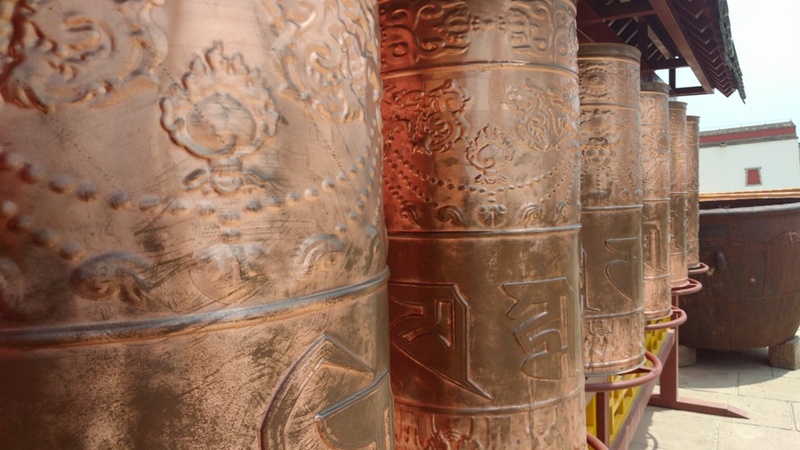 Have you heard about Chengde? Don’t be mistaken. I am not talking about Chengdu, capital city of Sichuan province. I am talking about small town lying 200 km north east from Beijing. 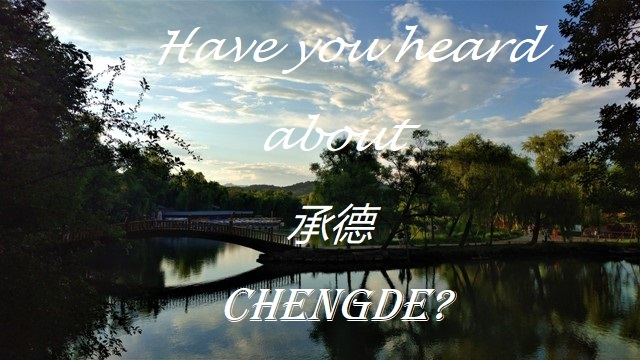 Honestly I have been living in China for four years and I haven’t heard about Chengde until this June when I decided to improve my Chinese and found a language program which took place in Chengde where local people speak the most standard Mandarin Chinese of all China. So I spent four weeks in this small but very nice place. Let me introduce it a bit more…. Chengde lies in Hebei province about 200km from Beijing. 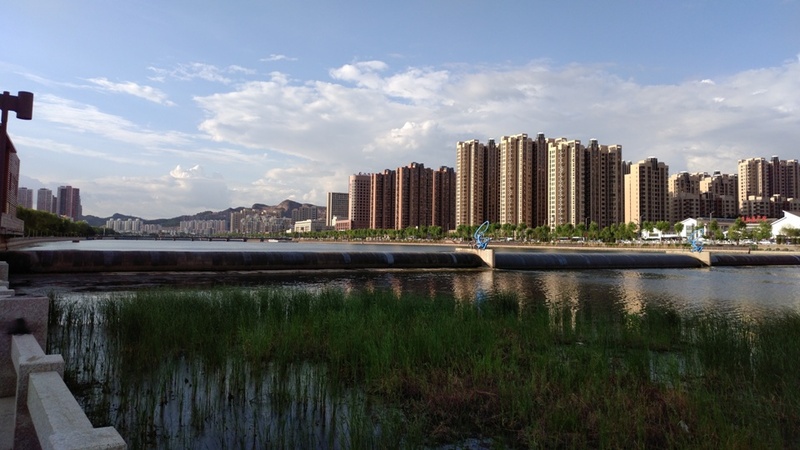 Despite it is not that far away from capital city which is unfortunately ”famous” for its air pollution Chengde is situated in beautiful mountain area, with fresh air and blue sky. Besides the beautiful surrounding Chengde is mainly famous for its historical sites especially the Mountain resort and its outlying temples. Mountain resort is a huge park in the middle of the town and it used to be a summer residence of the emperors of the Ching dynasty. When the summer was too hot in Beijing emperors left the Forbidden city and headed to Mountain resort in Chengde where the weather was much cooler. 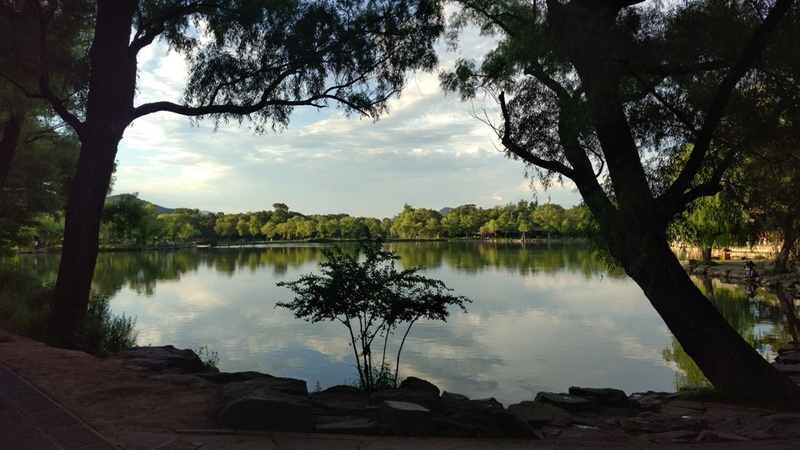 There they could relax, enjoy lush greenery and lakes or pray in one of many temples. 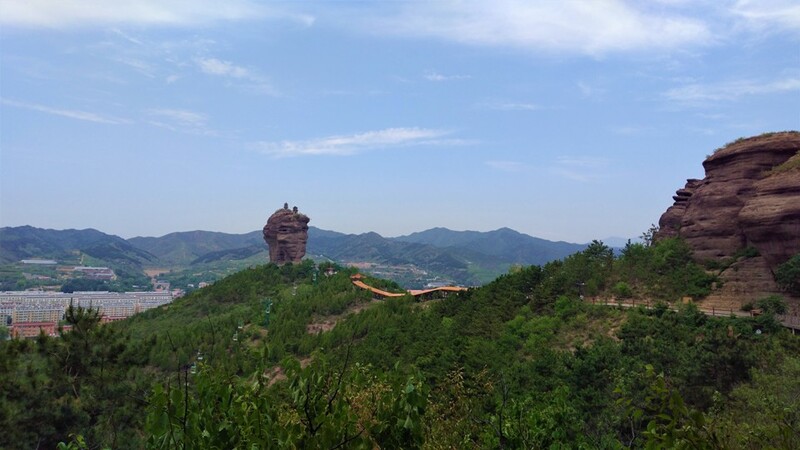 Today The Mountain resort is the main tourist attraction of Chengde so unfortunately it lost most of its tranquility but it’s still worth to visit. In the evening it’s a perfect place for locals to go for a walk or practice traditional Chinese dancing. If you visit Chengde for more days I recommend to buy a year entrance ticket which is only for 180 yuan (1 day ticket is 140 yuan). For purchase a one year ticket you will need to show your passport. As I said the Mountain resort is really big park. One part is a former living area, temples and lakes. The second part is just a vast forest. The forest part is also worth to visit. You can walk it if you have enough time or take a sightseeing bus (which most of the Chinese tourists do). If you walk you will have to share one road with the tourists buses which can be sometimes quite annoying especially on the weekends when there are much more of them. But once you get to the northern part of the park you can walk on the walls. It’s actually a bit like smaller version of the Great wall. Moreover there is a beautiful view over the Potala Palace from the walls so it’s really worth to do it and also it’s a good hike as the walls go up and down up and down. In total you can spend a whole day in the Mountain resort. Especially nice is in the evening time when most of the tourists are gone and the air is very cool and fresh. There are 8 temples outside the walls of The Mountain resort. The biggest and the most magnificent is definitely Putuo Zongcheng temple 普陀宗乘 which is also called Potala Palace of Panchen Lama. It’s a replica of the famous Potala palace in Lhasa and it was built in 18th century. If you are more into Buddhism go to see Puning 普宁and Puyou普佑 temple. The name of these two temples means ‘universal peace’. There is a giant wooden statue of Buddha in the Puning temple. This place was used by Lamas to study Buddhist scriptures. This small but nice national park is also nicknamed Bat mountain. 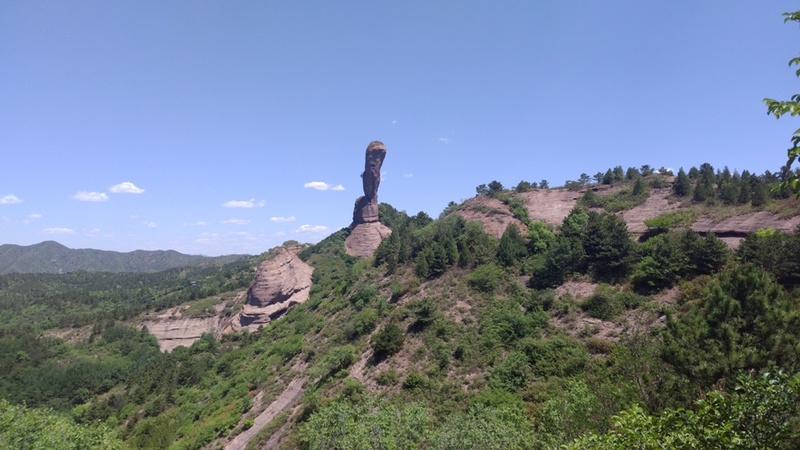 It’s because the rock formation looks like a baseball bat (however my boyfriend said it looks more like a bird rock…) You can buy a cable way ticket to get to the top or walk. It takes about 30-40 minutes to walk up. Anyway if you choose to walk it is a bit tricky as the first ticket office you will see is the cable way tickets only! Ignore that and continue up on the small tarmac road which will get you just in front of the Pule temple. The walking path is a bit hidden behind the temple on its right side. Anyway the peak is visible from several places in town including the Mountain resort so no worries if you don’t have enough time to visit the national park. Another small ‘in town’ national park. Basically it’s just a hill with a rock formation looking like two towers. Again you can take a cable way to the top but this park is even smaller than the QingChui national park so you need probably only one hour to walk up, go for a little walk around and go back. All for 50 yuan. You can also spot wild macaques in this park. However this place is not so interesting and in my opinion not worth to go. Chengde is a lovely place indeed. 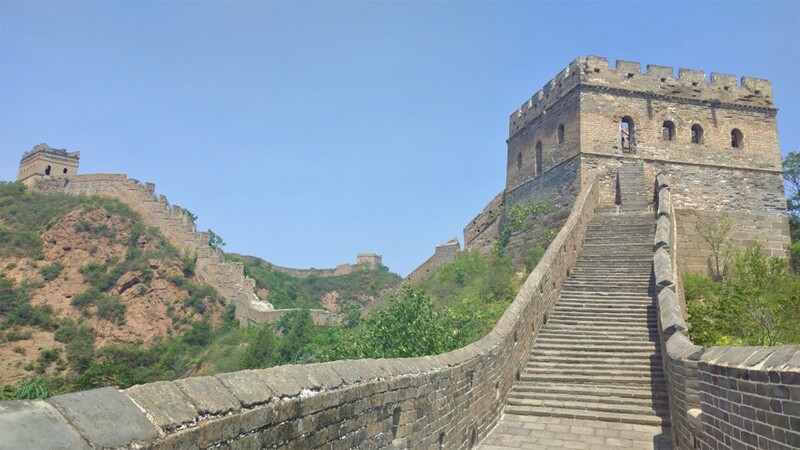 And it is not only good place for traveling but it’s also a great place for Mandarin Chinese learners as it was mentioned above the local people speak the most standard Mandarin in China. Proč nemá číňany nikdo rád? Why nobody likes Chinese tourists?